I’ve been eager to get my hands on Letters from Skye by Jessica Brockmole. It’s an epistolary novel and I love that format. It’s set in Scotland, in Edinburgh and on the remote Island of Skye, and I guess also in Illinois, although the setting of the male protagonist didn’t make as much of an impression on me. Most of the story takes place during WWI, but it begins during WWII, and then unfolds with flashbacks. I’m making it sound more confusing than it is. Elspeth Dunn is a poet in her mid-twenties living on Skye who receives a fan letter from a twenty-one year old college man, David Graham, living in Illinois. They strike up a flirtatious correspondence that results in their falling in love, despite the fact that Elspeth is married. When WWI begins, Elspeth’s husband goes off to join the fighting. Soon after, David volunteers as an ambulance driver. Elspeth and David meet for the first time and consummate their emotional affair. Elspeth now has a husband and a lover to worry about at the front. In addition to the letters between Elspeth and David, there are also letters set during WWII between Elspeth and her daughter, Margaret, and between Margaret and her beau, Paul. Elspeth is concerned that the relationship between Margaret and Paul is progressing too quickly. Then a bomb drops, rattling Elspeth’s home and exposing Elspeth’s hidden letters. Margaret finds one of them, but before she can get any explanation, her mother disappears. Margaret, who remembers nothing about her father and knows nothing about her mother’s past, recognizes that the letters must hold the key. The stories unfold simultaneously, with chapters shifting back and forth in time. Both Elspeth and David’s relationship and Margaret’s search for answers about the past are engaging narratives, and I didn’t want to put the book down. It’s nicely descriptive of the tension of wartime romance. Still, when all was said and done, I felt sorry for Elspeth’s husband. And I couldn’t help but wonder why it was somehow OK for Elspeth to have an emotional affair because she used snail mail. If she and Davey had been interacting through Facebook or gmail, it would seem much more tawdry than their poignant, witty, captivating letters. So, as much as I liked the book, it nagged at me that I was rooting for this relationship. I had a mental image of Ann Landers interjecting a letter at the beginning of Elspeth’s story, suggesting that she cease writing to her American stranger and rather focus on rekindling the romance with her husband. Ann would suggest that they get some counseling. The reaction is anachronistic, of course. But if, by today’s moral standards, one should frown on online cheating on one’s spouse, why is it acceptable to consider snail-mail cheating on one’s spouse in 1912 the start of a beautiful love story? And yet, the love story did tug at the heart strings. 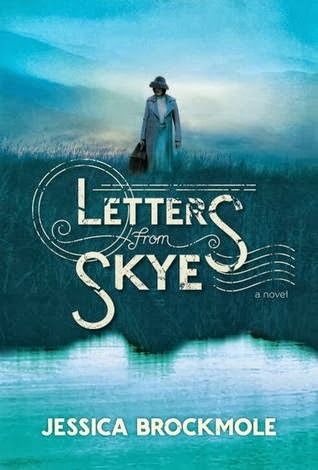 If you enjoy epistolary novels and wartime romances, Letters from Skye fits the bill. There is love, friendship, family drama and moral dilemma enough to keep you turning the pages. And then there are questions to think about after the last page is turned. It might make a good book club book. I’m just going to keep going with the Historical Fiction Challenge, hosted by Historical Tapestry. And I have now finished the Library Book Challenge, hosted by Gina at Book Dragon’s Lair! This was a great challenge for me. It really helped me to use the resources of my wonderful local library more. Anna Lee Huber has a second book out in her Lady Darby mystery series, Mortal Arts, that sounded interesting, but I couldn’t read the second until I read the first. 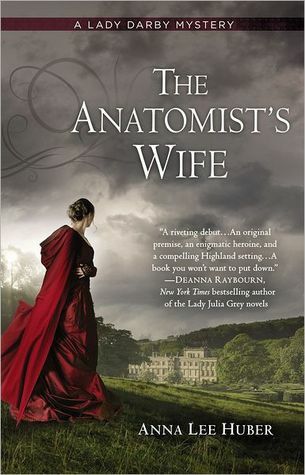 Fortunately, the premise of the first book, The Anatomist’s Wife, was one I found even more compelling. I don’t read a whole lot of mysteries, but if I do get caught up in a series, it’s generally because of the characters. After finishing The Anatomist’s Wife, I think I’m going to have to add Lady Darby’s mysteries to the select group that I follow faithfully. The backstory is what drew me to this novel. Set in Scotland in 1830, Lady Kiera Darby is hiding from genteel society at the estate of her sister, Alana, and brother-in-law, Philip, the earl of Cromarty. She has been there since the death of her own husband, Sir Anthony, and the nastiness that followed. Kiera would like to stay peacefully hidden away from gossip and unpleasantness, but her peace is about to be disturbed. Alana and Philip are having a house party. And one of the guests, Lady Godwin, has just been murdered. A murder at a country estate house party is standard fare for a murder mystery. So how does Lady Darby become involved in solving the mystery? Kiera is an artist--a particularly talented portraitist. When her father gave her in marriage to Sir Anthony, Kiera didn’t pay all that much attention. Sir Anthony was a respected gentleman, who happened to be an anatomist. She only cared that he was going to allow her to continue to paint. It was only after they were married that he told her his conditions. He was working on an anatomy textbook. He would perform secret dissections of corpses and she was to provide the illustrations of his work. After his death, her drawings were discovered. Kiera was accused of unnatural acts, procurement, even murder, by a prejudiced and horrified citizenry. The malicious gossip of the lords and ladies of London was even worse. Kiera wants to put that all behind her and stay out of society altogether. Stumbling on a murder at the house party makes this impossible. Not only is the scandal of Kiera’s past dredged up so that she is presented as the most likely murderer, but her brother-in-law, who has complete faith in her innocence, feels that she is in the best position to clear her own name. Also in attendance at the estate is one of Philip’s old friends, Sebastian Gage, who happens to be the son of an Investigator. Gage has helped his father on many occasions and has the makings of an investigator himself. Because it will take four days for an official to arrive, Philip asks Gage to start looking into the murder and to allow Kiera to help him. Gage has the necessary interrogation skills (charm and sociability) while Kiera has experience with corpses. While they are not keen on combining forces, they agree to Philip’s request. Before long, they are ferreting out clues and getting to know one another. Kiera is an independent, strong heroine. Her lapses in judgment are forgivable because of her limited options and her extreme emotional strain. It’s fascinating to see her struggle with the stigma of merely having witnessed and sketched human dissections at the command of her husband and society’s morbid fascination with what she has done. Gage is a wonderful partner for her, both professionally and romantically. The progress of their relationship was as interesting as the unfolding of the mystery. I look forward to reading book two! This is my 17/18 book for the Library Challenge hosted by Gina at Book Dragon’s Lair and my 26th book for the Historical Fiction Challenge hosted by Historical Tapestry. 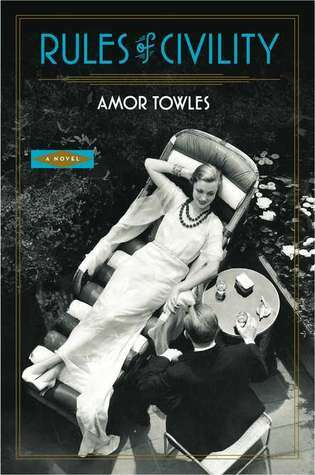 My book group chose Rules of Civility by Amor Towles to discuss at our next meeting. I hadn’t heard of this historical novel, set in New York City in 1938, so I’m glad the book group brought it to my attention. If I had to describe it in one word I would call it poignant. The bulk of the novel is narrated by Katey Kontent, a twenty-five-year-old working-class woman who is determined to make her way in the big city. Fiercely intelligent and independent, she puts her Russian immigrant past behind her and begins to climb the social and economic ladders. The first steps include a job in a typing pool at a law firm and a gorgeous boardinghouse roommate, Eve, who shares her taste for adventure, booze, and social climbing. Life gets interesting on New Year’s Eve when Katey and Eve spend the evening in a jazz bar and meet a handsome, wealthy young man named Tinker Grey. The girls compete for Tinker’s attention, although not overtly. Katey is not willing to play that game. It seems as though Eve, the aggressor, has the edge, but at the same time, one gets the sense that Tinker and Katey make a better match. And then a horrible accident, for which Tinker feels responsible, settles things. Eve is injured and Tinker must take care of her. Katey steps aside and moves on with her life. Katey’s pursuits of career, social advancement, and love make for interesting reading. New York City is a whirlwind and Katey is in the thick of things. Her path crosses that of Tinker and Eve again and again. As the three lives progress, it turns out that nothing is as Katey expected. Her assumptions are repeatedly proved wrong. She has little choice (or inclination) but to forge on with the same determination and lack of sentimentality. When she looks back on that formative year, it is with a bit of wistfulness, but not with outright regret. It’s a fascinating story and it’s poignant. The book focuses on how the moneyed people lived and partied in 1930's New York. For me, it did jar a little as a Depression Era novel, since there didn’t seem to be any evidence of a depression for the majority of the characters. I was anticipating a little more struggle and a little less excess. But that may have been part of the point--the super-wealthy weren’t touched by the Depression. Even Katey never had employment or money-related difficulties. (Her employment was at issue, but the point was to demonstrate her capabilities and ambitions, not to show that jobs were hard to come by.) Also, she was able to insert herself into high society with no questions asked despite her lack of money or family credentials. I don’t know how realistic this is for the time period, but the book was, nevertheless, an engrossing read. This is my 25th book for the Historical Fiction Challenge, finishing up my 25 or greater challenge level. I’m sure I’ll continue to add to my list of historical fiction reads in the remaining few months of the year, but it feels good to have one challenge completed! The historical fiction challenge is hosted by Historical Tapestry. This was a library book, so it is my 16/18 read for the Library Books Challenge hosted by Gina and Book Dragon’s Lair. There are six required categories for the Back to the Classics Challenge. I’d finished 4/6 books, so I chose a classic for my next read from the category "a classic that prominently features an animal." I picked The Lion, the Witch and the Wardrobe by C.S. Lewis. I don’t know how I missed reading this as a kid. My first real exposure to the story was the movie that came out 8 or so years ago. That was a significantly long time ago when I consider how much younger my kids were then. We watched the movie together and afterward, my husband read the Narnia Chronicles to them. I was reading other things with them at the time, so I missed out. I don’t feel an obligation to read all the books, but I have wanted to read this one ever since. It’s a classic fantasy adventure for children. The four Pevensie children—Peter, Susan, Edmund and Lucy—are exploring the many rooms of an old house in the country where they have been sent for safety during the bombing of London. One room contains an old wardrobe. Lucy ventures into the wardrobe and out the back of it. 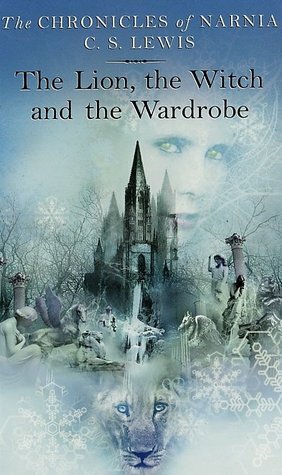 Beyond the wardrobe is the magical land of Narnia. Narnia is a land where animals talk and live side-by-side with mythical beings such as fawns and giants. It would be a beautiful place except that it has fallen under the rule of the evil White Witch, who calls herself the Queen of Narnia. She has put the whole land under a wintry spell so that spring (and Christmas) can never come. With her magic wand, she can turn any animal that crosses her into stone. But the White Witch is aware of a prophecy stating that when humans come to Narnia, the evil times will be over. Naturally, she is on the look-out for any human invaders. Lucy eventually brings her brothers and sister to the place she has discovered. Edmund has an encounter with the witch and is, for selfish and childish reasons, swayed to her side. The other three siblings, with the help of animal friends, bravely set out to find Aslan, the Great Lion. Aslan is the source of an ancient power greater than that of the witch. This all sets the stage for a final battle between good and evil, requiring sacrifice and redemption. It’s a very straightforward story and a fine adventure for children. It even has an appearance by Santa Claus (or Father Christmas.) The movie had more high tension and some scenes that could be scary for kids, but the book is quite tame and matter-of-fact in its narration. I think kids would understand the emotions–the sibling quarrels that get out of hand because of the circumstances, but it’s not overwhelming. The only real evil in the book stems from the White Witch. There is no nuance or complexity to worry about, so it’s a nice introduction to fantasy adventure for young children. I know there is a whole literature about the Christian allegory in the book. You can compare Aslan to Jesus and Edmund to Judas and find a bunch of other examples of how Lewis is alluding to Christian themes in this story. I suppose that is one way to make the simple story more interesting–to play with it a bit. But I think it works best as an adventure story to read with quite young children, who will simply be thrilled to see good triumph over bad. Trying to read it with children for the Christian allegory might be too confusing for them and ruin the fun of the story, while for adults, I think there are novels that work in the Christian themes in a more subtle way with a more complex and interesting storyline. The Back-to-the-Classics Challenge is hosted by Sarah Reads Too Much. I accomplished one thing this week, I finished another book from my TBR pile challenge. 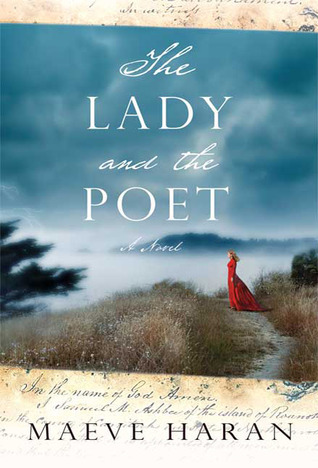 I don’t remember when I acquired The Lady and the Poet by Maeve Haran, but it has been on my shelf for a few years. The lady of the story is Ann More. The poet is John Donne. Although it’s really the lady’s story, told in first person from her POV, it’s the poet who caught my attention and made me buy the book. I like to think that I like Donne, but in fact, we read a couple of his poems in a survey course in high school and I liked those poems. Even more, I thought the snippet of Donne’s accompanying biography made him interesting. So when I saw a novel that fictionalized the love story that changed his life, I wanted to read that novel. I wanted to read it, but not all that urgently. The book sat on my shelf. I’d consider it every once in a while, but there was always something I wanted to read more. I finally put it on my challenge list to give it some priority. In all honesty, the first couple of chapters didn’t particularly captivate me, and if it weren’t for the TBR-pile challenge, I might have been tempted to give it up and turn to something else. Ann’s voice was a bit overly romantic for my taste and the story seemed like just another tale of lovers kept apart by families and societal conventions. But once I got farther in to the story, I grew used to Ann’s voice and wanted to see how she and Donne managed to find each other. Ann More is one of four daughters of Sir George More, a gentleman of Queen Elizabeth’s court who has high ambitions for himself and his family. His daughters must serve the family by marrying well. He expects complete obedience from them. However, he has left them to be brought up by his own parents, and Ann has spent a good deal of time in her grandfather’s library. She is extremely well educated; she can read Latin and Greek. She’s also much too outspoken for a well-bred girl of her time. Her father despairs of her; nevertheless, he has found a man willing, in fact eager, to marry her. Mr. Manners is handsome and will one day be wealthy, but in the meantime his father controls the purse-strings and the older Mr. Manners will not agree to the betrothal until dowry conditions are ironed out. With negotiations in flux, Ann is sent to London to live with her aunt. Her uncle is Lord Keeper of the Great Seal, and it is expected that Ann will find a place at court serving the queen. But while at her aunt’s, Ann meets her uncle’s secretary, John Donne. Donne has a horrible reputation as a womanizer and a writer of licentious verse. Ann sees the bad side and some surprising good sides of the poet during the course of her stay. She falls in love despite her better judgment. Donne falls in love as well. This is not a match that Ann’s father would ever approve of. Donne is not a gentleman. His reputation is scandalous. And the fact that the two of them have been living in the same house means that Ann’s reputation would also be ruined if any hint of an attachment got out. The obstacles to their ultimate happiness are plentiful and would seem insurmountable. But Ann is stubborn and courageous. Donne is determined and, despite accusations leveled against him, he is no fortune hunter. He truly loves Ann. He’s also an enormously talented poet. In the end, I enjoyed this book and its interpretation of the love story and the struggles these two went through. Haran did a good job placing the story in its historical context, but the focus was very squarely on Ann. I’m not sure, though, that I ever really felt emotionally caught up in the tale. I found myself wanting, curiously, to hear the story from the poet’s POV rather than the lady’s. This is my ninth book for the TBR pile challenge hosted by Roof Beam Reader and the twenty-fourth for the Historical Fiction challenge hosted by Historical Tapestry.